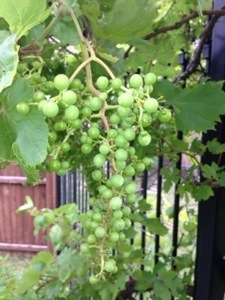 I was fortunate enough to purchase a home with a full grown grapevine. My own mini vineyard ! So excited. 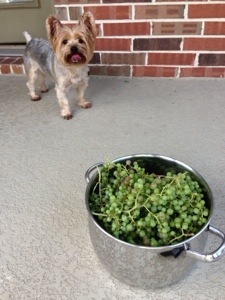 Eventually I will make actual wine , but it was too many steps for my first harvest so I decided to make grape juice. The grapes on the vine. 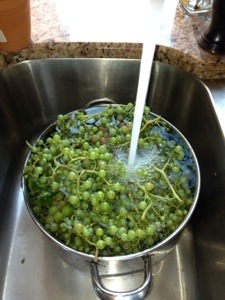 Soak and wash the grapes. This takes the longest time. 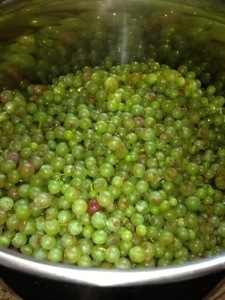 Pluck all the grapes and wash them. 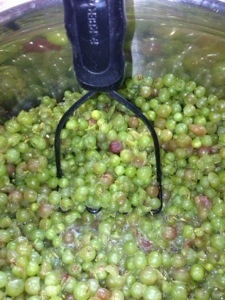 Smash all the grapes while simmering on low until all the juices are out of the grapes. 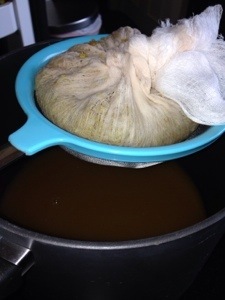 Put the remaining smashed grapes in a cheese cloth and allow to drain. 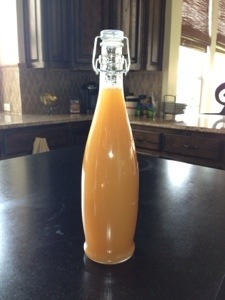 Finally strain and store in an airtight glass bottle. Great in a vodka cocktail of course.